Our angel sits in quiet remembrace and is a wonderful intercessor for your prayers. 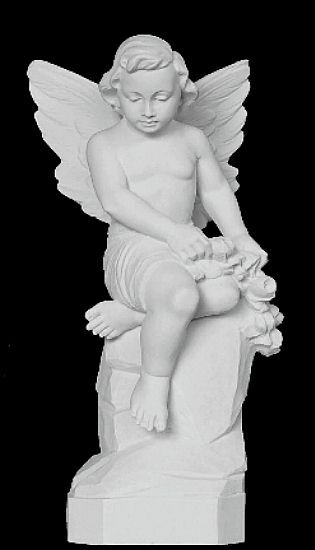 He comes beautifully detailed and is a sculpture suitable for a memorial or gift. Dimensions: About 17.7"H x 8" x 7"
Normally ships in 2-3 weeks when in stock.